The Hamilton County commission's Democratic majority on Monday approved a 0.2 percent increase to deal with a looming budget deficit. The opposition effort says voters should have a voice in this and are starting to gather signatures to put the issue on the November ballot. "Our referendum is to get that on the ballot so that the taxpayers of Hamilton County have a say as to whether or not their sales tax should increase," says Republican candidate for Hamilton County Auditor Nancy Aichholz. 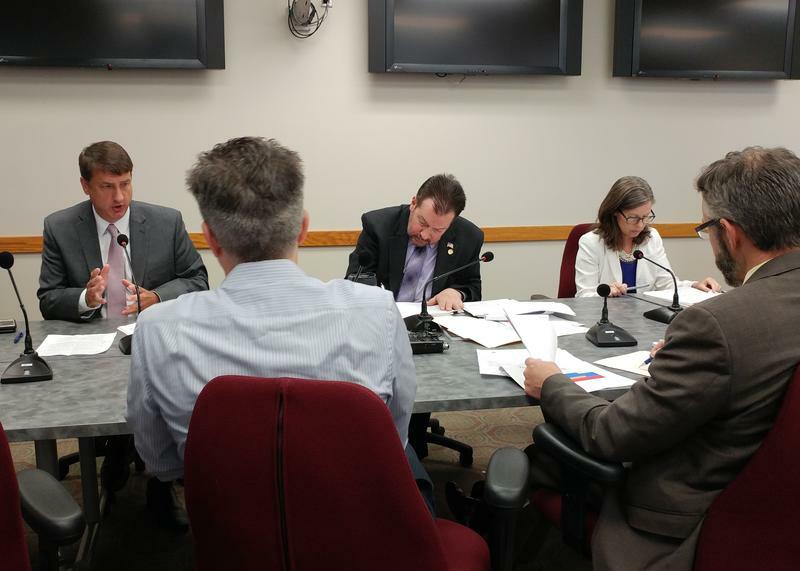 In voting for the sales tax increase, commissioners Todd Portune and Denise Driehaus cited a $28 million budget deficit they've said is a result, in part, of cuts in state and federal funding for communities. Aichholz wants proof. "I know they've said they've cut to the bone, but we haven't seen the line item budget that says 'We've cut this program,' 'We've cut that program,' etc. There's just a lack of information." The Hamilton County Democratic Party sent out an email to its supporters Thursday afternoon entitled "Please dont't sign that petition." It also included a note from Driehaus saying that the county is "spending the same amount now that we did in 2001, despite the fact that the cost of providing government services has increased substantially over the last 17 years. "The county has already made significant cuts, including closing a jail, freezing wages, ceasing preventative maintenance on county buildings, consolidation of departments, furloughs and a hiring freeze,'' Driehaus wrote. "Those efforts were not enough to fix the structural budget deficit." The sales tax increase, set to go into effect in October, would bring the total amount of sales tax in Hamilton County to 7.2 percent until the Union Terminal restoration tax sunsets in April 2020, at which point the tax would drop to 6.95 percent. See how Hamilton County's sales tax rate compares to the rest of the state here. The group needs to gather the valid signatures of 23,629 registered voters by July 18 in order to make the November ballot. The political consulting firm behind the push - Fountain Square Group - is also aiming to get more Republican voters to the polls in November to cast ballots for Aichholz, U.S. Rep. Steve Chabot (R-OH) and other Republican candidates. Hamilton County commissioners have approved a sales tax increase to deal with next year's budget shortfall. The two-tenths-of-a-cent hike will take effect in October as Hamilton County faces a $28 million deficit in 2019.